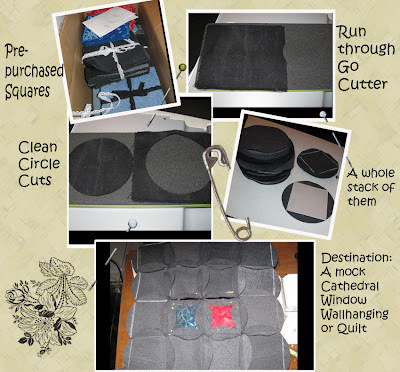 I've always had in my mind that someday I would like to make a mock Cathedral Window quilt out of pre-cut denim squares I purchased many years ago on Ebay. 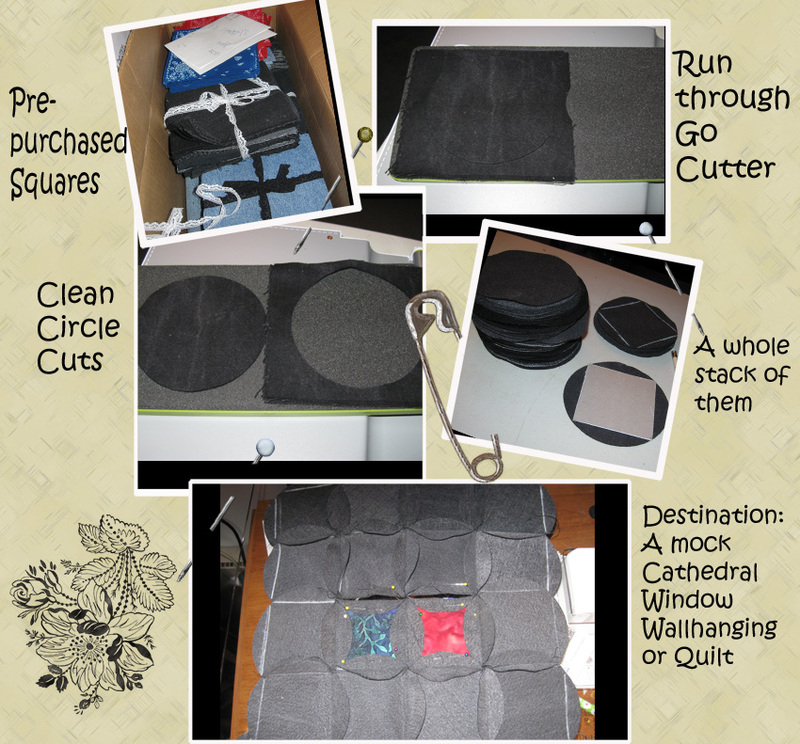 So, now with my AccuQuilt Go and the circle die, I've been going to town cutting the circles out. I joined a few circles and it's not as easy as I thought. However, I knew this is going to be one of those projects that takes a long time and you work on in between other projects. So, here's some photos along the way. The only thing I haven't decided yet is when I sew down the flaps, I'm either going to use zigzag to completely sew down, or come in a 1/4 inch with a normal stitch and let it fray like a rag quilt. The side are not that big though so not much room for fraying. As you can see, I'm also playing with my digital scrapbooking files. Be sure and click on the photo for a better view. it is going to be fabulous! Wow, that is going to be cool~ and so much easier with your new cutter. :-) Have fun!